SDF Press Office announced that ISIS attacks on Hajin front in Deir ez-Zor countryside were repulsed and 49 mercenaries were killed. The Press Office of Syrian Democratic Forces (SDF) made a statement about the last 24 hours of clashes on Hajin front in the countryside of Deir ez-Zor province. According to the statement, ISIS terrorists launched attacks on the positions of SDF fighters on Hajin front. 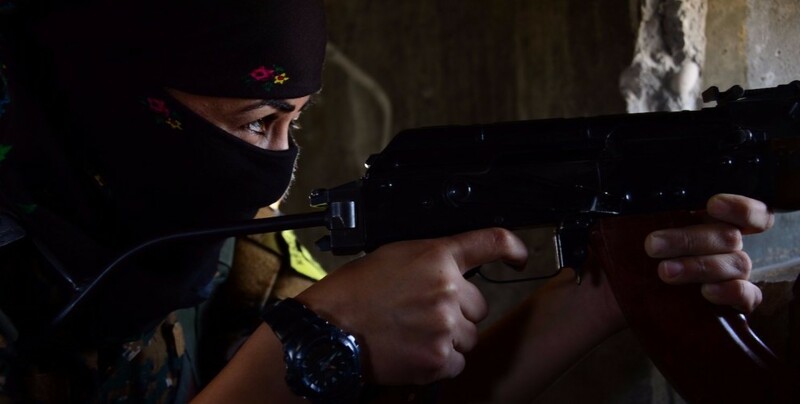 The retaliation of SDF fighters resulted in fierce clashes in the region, as a result of which the mercenaries were dealt heavy blows and their attacks were repulsed. “On the other hand, International Coalition aircraft hit several positions of ISIS mercenaries. As a result of the bombardment, premises of so-called commanders, howitzer and mortar attack launch scenes and many tunnels were destroyed,” said the SDF statement. SDF said a number of terrorists were killed in the mentioned areas, while on the other hand a bomb-laden vehicle of the terrorists was destroyed. 8 premises of the terrorists were destroyed. 2 roads used by the terrorists were blocked. 3 tunnels, 10 compounds terrorists used as defense area, and a bomb-laden vehicle were destroyed. The international coalition bombed 27 targets.